Likud Anglos Executive-Director and candidate for the Likud’s list Daniel Tauber called upon English-speaking members of Jewish Home (HaBayit HaYehudi) party to vote for Jeremy Gimpel, the party’s “Anglo” candidate, in today’s primary. “All Anglos who are members of the Jewish Home should make sure they turn up at the polling station and support Jeremy,” he added. Jewish Home party members are going to the polls Tuesday to vote for candidates for Knesset, and Gimpel is likely to secure a spot that would all but guarantee his election. Gimpel immigrated to Israel with his family from Atlanta at the age of 12 and has campaigned partly on his plans to speak directly to American Jews in an effort to encourage aliyah, as well as communicate more effectively with Americans concerning issues in Israel. The Jewish Home party has three MKs in the current legislature but is running on a combined slate with the National Union party in the January elections. 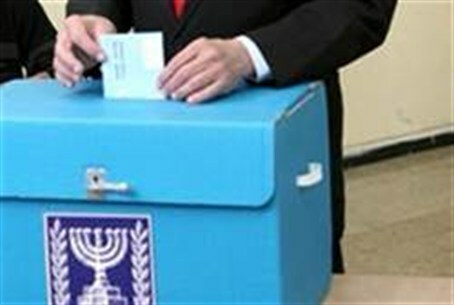 The merge is expected to result in at least 10 MKs in the next Knesset, with some polls giving the combined list 13 seats.